In order for the manufacturer to obtain the right to mark their product with the barcode, it is necessary to pass international certification. There are firms that are not able to produce a quality product, but also successfully implement it. They use bar codes well-known companies by selling counterfeit goods. 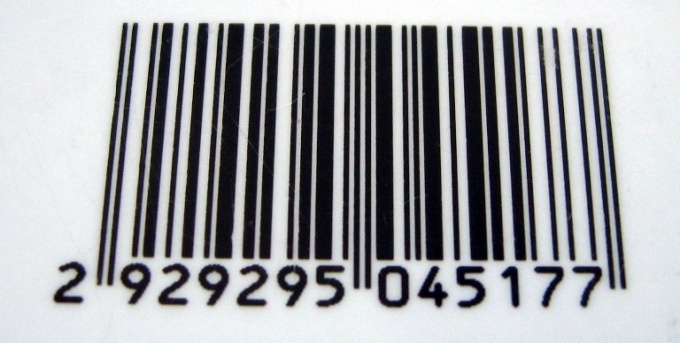 When buying a product, pay attention to the first two or three figures standing in a bar code indicating the country code and information about the country of origin written on the packaging of the product. If these data do not coincide, that is, the country-manufacturer, for example, Germany, and the first digits of the barcode, saying that it is China, you probably bogus product. Check code-producing countries, referring to relevant Internet resources, which presents the data. For example, Russia represents a numerical code consisting of three digits – 460, Germany – 400, Ukraine - 482, Japan - 45 and 49, etc. Please note the last check digit of the barcode. Having a specific mathematical algorithm comprising a mathematical operation performed with the number code and comparing the result with the check digit, can definitely say fake in front of you or not. 1. Write down all thirteen digits of the barcode. 2. Sum the numbers from left to right, standing on even positions. 3. Amount received multiply by three. 4. Sum the odd numbers, left to right, the last number on the right. 5. Add the results of the third and fourth paragraphs. 6. From the figures drop left digit indicating the number of tens. 7. The remaining number which designates the units, subtract numbers from 10. 8. The result, obtained by you must match the check digit of the barcode. If the test digit and the resulting different, so before you fake goods. Contact computer on-line programs presented on the respective websites for authentication of the product by barcode. To do this, enter all thirteen digits of the barcode into the appropriate field and click Validate. After making certain calculations, the program will quickly give you their verdict.